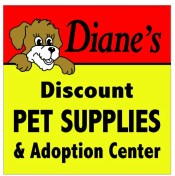 Diane's Adoption Center works with several non-profit organization that assists displaced dogs in finding new homes. Our goal is to keep as many dogs as possible out of rescue and shelters, and in the loving arms of their families. Few things are more traumatic for a dog than losing his/her family. Most people who contact us mistakenly think they would be doing their dog a huge favor by finding him a home that “has more time for him or can give him the home he deserves.” In actuality, most dogs are better off remaining in the home they know and love, even if it means they will get less attention from you. Experts in the animal field agree that a dog requires a mere 15 minutes of one-on-one time with his master per day, to be happy, healthy, and well-adjusted! That could be simply spent laying in bed at night watching TV together, playing ball in the backyard for 15 minutes while dinner is cooking, or going for a walk or jog! Surely you can spare 15 minutes per day. Pets reduce personal stress and can add years to your life – make the time for you AND your dog! Did you acquire your Dog from a Rescue Organization? If so, have you contacted that rescue organization? If they are reputable, you would have signed a contract at the time you adopted your dog, stipulating that the dog must be returned to them. New baby in the family? How lucky for you that most dogs are fantastic family pets! If you can take care of your new little human baby, you can also take care of a dog. Babies do not stay babies for very long. Even though you may be feeling very overwhelmed right now keep in mind it is not permanent. Please read these links to help you ease the transition. Moving is the number one reason people surrender their pets to shelters. There are plenty of apartments, townhouses, condos and hotels that accept dogs. Many places will even allow you to spread payment of your pet deposit over multiple months as part of your rent. Please check with your real estate agent, or company relocation services when possible before giving up your pet. Is your dog having trouble getting along with other animals in the household or are there other behavioral issues that have led to the decision to give up your dog? If so, let us help you. Send us an email – store@ddpets.com we can most likely recommend a trainer in your area. If you didn’t socialize your dog as a puppy, it’s never too late to enroll him in obedience school. It’s fun for you and the dog! Most destructive behaviors occur when your dog simply needs more play time. Have you considered Doggie Day Care? Please call or email us 610-970-7500 for more info. The following groups exist to assist people who truly want to keep their pets, but are experiencing financial difficulties. They may be able to help you! If you haven’t found any solutions after carefully considering the information above, then you are welcome to fill out the form below. Rescue is an all-volunteer based organization. We may not be able to take your dog but we review all applications. It may take up to a week to hear from us. 1. There must be shelter space or a foster home available for intake. If we have no space available we may be able to courtesy post your dog for you on our websites. 2. The Owner Surrender dog must be adoptable, i.e. of an adoptable age, health, and temperament. We cannot take a dog into the Adoption Center who has bitten. If your dog is not good with children, men, strangers etc. we may be able to courtesy post him/her for you. You should consult your veterinarian to rule out any medical problems causing any behavior change. But, just as importantly, you need to get in touch with a professional behaviorist to try and work through the problem with your dog before surrendering him/her. 4. It is very important to be honest when filling out this form and when talking to the intake person. The more honest you are about your dog the easier it will be to find a new home for him/her. 5. The Owner must agree to sign a legally binding contract agreeing to take their dog back into their possession within 48 hours of being notified if for any reason the dog is no longer considered adoptable. If we accept your dog into the Adoption Center and for any reason the dog exhibits signs of aggression or other issues that no longer make him/her adoptable you will need to take him/her back. 6. Once adopted, we WILL NOT get your dog back for you. Once you have signed the dog over to us and you change your mind, you will have to go through the same process as all other adopters and will be expected to pay the full adoption fee.